No eBay seller likes to do the boring bookkeeping or think about the expenses of running the business. But eBay is just like any other business; there are expenses that must be considered to determine if the business is profitable, for tax reporting purposes, and to manage cash flow. Here are a few tips for understanding eBay fees so you can make sure you're minimizing expenses as well as choosing the right type of listing for your business in the long run. The eBay site provides a comprehensive fee schedule so nothing is left to chance, and sellers don't fall into those murky gray areas. Remember, eBay charges a listing fee, the same way a newspaper or website would charge a fee to advertise a product or service for sale. The insertion fee is charged regardless of whether the item sells or not. You can think of this insertion fee as the cost of advertising the listing to millions of people. If the item sells, then a Final Value Fee will be charged. Final Value Fees vary based on the category. Final Value Fees are usually 10 percent of the selling price. A specific percentage of the item price and shipping fee are charged for Final Value Fees. Auctions and fixed price listings have different fees. Sometimes auctions are free, depending on whether or not there is an eBay listing special in effect, or if the seller has a store with free auctions. Also, you should explore the advantages and disadvantages of auctions and fixed price listings to make sure your item gets the maximum visibility to the buying audience. Listing upgrades are eBay's version of a waiter asking, "Do you want fries with that?" You need to understand what they are and if they are really worth paying for. These add-ons are included in the insertion fees, so once you add them to the listing and hit submit, there is no turning back. Unfortunately, there is no statistical data to support whether or not listing upgrades increase sales frequency or sales price. It's worth noting that listing fees vary greatly from .10 to $6. Insertion fees add up, so always check the fee calculation at the bottom of the listing before clicking submit. Sometimes—without your knowledge—the eBay Sell Your Item form automatically checks one or more of these upgrades, so be diligent about checking the fees before hitting the submit button. 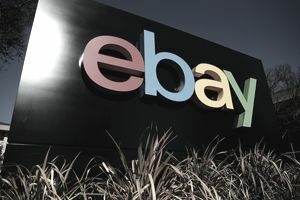 An eBay store is definitely the way to go if you plan to make eBay a business or list more than 30 items at all times. A store is simply an umbrella over all of your listings that determines how you will be charged for listings. eBay offers a Basic Store, Premium Store, and Anchor Store all with different base fees and per-listing fees. Logically, the higher the level of the store, the more the base fee but the lower the per-listing fee. There is a wonderful tool on eBay that shows exactly what the fees will be when selling an item. You simply plug in the data regarding your monthly listings such as category, number of fixed price listings, number of auctions, sales, and shipping information and the calculator shows which eBay store option is best for your unique business. It's very important that you track sales and expenses monthly. Not only does this help you examine your business and discover opportunities for improvement, but everything is already prepared when tax time rolls around. Although eBay offers great information on your sales reports, they do not know what you paid for an item so you must track that information yourself. However, that's easy enough—use QuickBooks, a simple Excel spreadsheet, or this spreadsheet designed specifically for eBay sellers by an eBay seller.